Information technology is integral to all aspects of academic life at The American College of Greece, including teaching and learning, research & creative endeavors, outreach, administration, and student life. The systems and services impact virtually every aspect of campus life and are central to the academic enterprise as well as administrative processes. As the provider of technology and technology services at The American College of Greece, the Information Resources Management (IRM) department is committed to technology innovation consistent with the College’s strategic plan. Served by IRM, the ACG community includes, faculty, staff, students, alumni, parents, and all other individuals and organizations that interact with the College. Computer Labs: the ACG community benefits from various state-of-the-art student computer labs spread throughout the campus, numbering more than 250 stations. Specialized Labs: a specialized IT Networking Lab, equipped with CISCO equipment is available for networking specialization students or specialized course offerings for the community. Enhanced classrooms: all classrooms at ACG are technology enabled. Most are equipped with a projector, screen, sound system and computer. Instructional Tools: the Academic Computing division of IRM offers support for a range of instructional tools including Blackboard, the College’s adopted Learning Management System. Classroom and Meeting support: IRM Media Centers provides technology support for all classroom and most college sponsored academic functions. The Media Centers maintain and operate all video conferencing facilities on the ACG campus and provides web conferencing support. Administrative support: administrative computing and network services at ACG are provided by the Administrative Computing division of IRM, which ensures safe and secure access to enterprise systems and the campus network. We accomplish this goal by providing the technical resources, services, and support an IT environment that helps ACG work smarter, faster, and safer. With a Gibabit network connection speed and 50Mbps of Internet bandwidth, our campus network, is one of the largest and fastest of its kind in the region. Almost 1,500 devices access ACGnet regularly. There are approximately 50 wireless access points across campus. The Blackboard course management system currently houses more than 500 containers with course materials, assignments, and other class activities. Almost 90% of ACG helpdesk service requests are completed within the same working day. 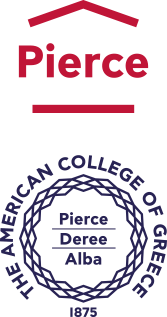 The ACG network hosts more than 13,000 mailboxes for students, faculty, staff and alumni. ACG students, faculty, and staff send on average 15,000 emails daily.